Images | Details | Payment | Is This Your Next Van? Is This Your Next Van? Because your family is important to us, our 2014 Dodge Grand Caravan SE shown in Redline 2-Coat Pearl has been meticulously built to meet your needs. Powered by a proven Pentastar 3.6 Litre V6 that produces an incredible 283hp while connected to a smooth shifting 6 Speed Automatic transmission that offers a second overdrive to enhance fuel efficiency. Our Front Wheel Drive Grand Caravan rewards its owners with over 9.4L/100km on the open road, translating to nearly 500 miles per tank. The needs of the family may be a simple trip to school or getting all the gear to the game, either way, you will appreciate the soft-touch materials in the roomy and well-built cabin of the SE. Versatile seating with third-row and cargo bay configurations along with heated mirrors, a front floor console, and tri-zone air-conditioning are essential conveniences for the daily routine. The best-selling minivan of all time, it's adaptable, practical and ready! Of course, Dodge is concerned about the safety of your family, so our ultimate family vessel is loaded with features to safeguard you and your loved ones. Eager to please and ready to roll, it's waiting to meet your needs. Print this page and call us Now... We Know You Will Enjoy Your Test Drive Towards Ownership! 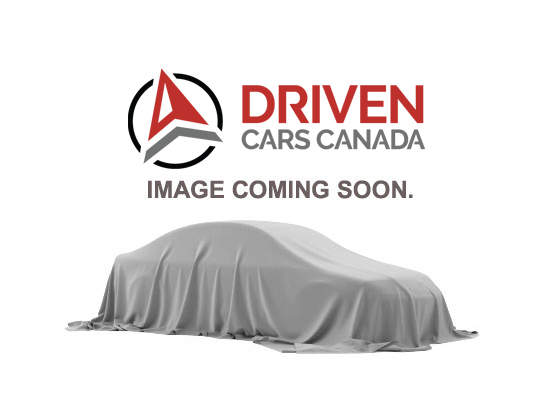 Why purchase a used car from DRIVEN CARS CANADA: We make it easy, simple and painless. This 2014 Dodge Grand Caravan SE also comes with a 30 day/1500km warranty covering any pre-existing repair. Aside from a fair price on intelligently acquired vehicles, anyone can confirm the history and various other aspects found in a detailed CarProof report, but nobody can confirm what actually happened inside the vehicle. Kids, dogs, sneezes, flu's, drive-thru mishaps and everyday life add an invisible layer of concern inside a used car. We take the unique step of protecting your family from toxic molds, bacteria, and viruses. Every vehicles interior & complete air ducting system is systematically fogged with PURIFYD(r), killing 99.9999% of all pathogens.